"A History of Missouri: Volume III, 1860 to 1875, " now available in paperback with a new, up-to-date bibliography, follows the course of the state's history through the turbulent years of the Civil War and Reconstruction. Increasingly bitter confrontations over the questions of secession and neutrality divided Missourians irreparably in 1861, with the result that the state was represented in the armies both of the North and of the South. During the next four years, Missouri would be the scene of several important battles, including Wilson's Creek and Westport, and much bloody combat as secessionist guerrillas and Union militias engaged in constant encounters throughout the state. Indeed, Missouri probably saw more military encounters during the war than any other state.Out of the chaos, the Radical party emerged as a powerful political force seeking to eradicate pro-Confederate influences, and its efforts made the Reconstruction era as volatile as the war years had been. Jesse and Frank James, who had been part of Quantrill's guerrillas, continued to provoke disorder through their numerous bank and train robberies. In their efforts to establish a "new order," the Radicals effected a new, highly proscriptive constitution. 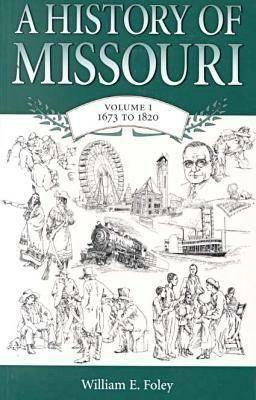 In the long run, however, they were unable to eradicate the strong conservative influences in the state, and by the mid-1870s reaction set in.In addition to the important political events of the period, the social and economic conditions of the state immediately before, during, and after the war are treated in "A History of Missouri: Volume III." Despite the ravages of war and political dispute, Missouri managed during Reconstruction to make impressive strides in economic development, education, and racial equality. 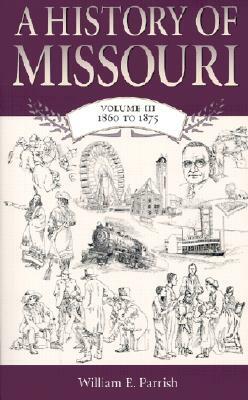 The changes introduced by such industries as railroads, farming, and mining served to revitalize the state and to guarantee its future growth and development.This volume will be an essential resource for anyone--scholars, students, and general readers--interested in this crucial and important part of Missouri's history. 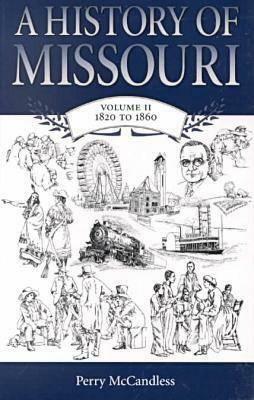 Description: A History of Missouri: Volume III, 1860 to 1875, now available in paperback with a new, up-to-date bibliography, follows the course of the state's history through the turbulent years of the Civil War and Reconstruction. Increasingly bitter confrontations over the questions of secession and neutrality divided Missourians irreparably in 1861, with the result that the state was represented in the armies both of the North and of the South. During the next four years, Missouri would be the scene of several important battles, including Wilson's Creek and Westport, and much bloody combat as secessionist guerrillas and Union militias engaged in constant encounters throughout the state. Indeed, Missouri probably saw more military encounters during the war than any other state. Out of the chaos, the Radical party emerged as a powerful political force seeking to eradicate pro-Confederate influences, and its efforts made the Reconstruction era as volatile as the war years had been. Jesse and Frank James, who had been part of Quantrill's guerrillas, continued to provoke disorder through their numerous bank and train robberies. In their efforts to establish a "new order," the Radicals effected a new, highly proscriptive constitution. In the long run, however, they were unable to eradicate the strong conservative influences in the state, and by the mid-1870s reaction set in. In addition to the important political events of the period, the social and economic conditions of the state immediately before, during, and after the war are treated in A History of Missouri: Volume III. Despite the ravages of war and political dispute, Missouri managed during Reconstruction to make impressive strides in economic development, education, and racial equality. The changes introduced by such industries as railroads, farming, and mining served to revitalize the state and to guarantee its future growth and development. This volume will be an essential resource for anyone--scholars, students, and general readers--interested in this crucial and important part of Missouri's history. William E. Parrish is Professor Emeritus of History at Mississippi State University. He is the author of numerous books, including Frank Blair: Lincoln's Conservative. He is also the general editor of A History of Missouri.